To say the past month has been an important one for Netflix would be an understatement. It kicked off by revealing viewership numbers for the first time around the original movie “Bird Box,” and followed that up by raising its prices and beating Wall Street estimates in terms of the number of subscribers added this past quarter. While these individual moves are interesting on their own, they point to a larger, longer-term strategy at play. Releasing viewership numbers — albeit very selective numbers that are not currently backed up by third-party verification — marks a drastic shift from company policy. The rationale? Twofold: First, it shows Hollywood stars, writers, and producers that Netflix can and will get people to watch the TV shows and movies you make for the service. Second, it shows Wall Street that the company can take relatively inexpensive programming (like a Turkish drama series, or a show that Lifetime TV canceled) and make it successful all around the world. In other words, content at scale. “Our ability to create hits and create movie stars and TV stars from anywhere in the world for the rest of world is something that we’ve really been working hard at,” Netflix CEO Reed Hastings said on the company’s latest earnings call. The price increase, similarly, was about generating revenue, yes, but it was also about lock-in. Consumers are only willing to spend so much on content every month. Netflix knows that they have become a baked-in part of that budget. Boosting their prices not only increases revenue, but makes it harder for competitors to get a piece of the pie. In other words, Netflix is building a pricing moat at the same time it is building a content moat. There was one another announcement this past week, which also teased how Netflix is planning ahead. The company ordered a new workplace comedy called “Space Force,” starring Steve Carell, and written and produced by Greg Daniels. Daniels was the lead writer and show-runner of “The Office,” which Carell starred in. “The Office” is currently on Netflix, and is reported to be one of the most popular shows on the service. NBCUniversal, which licenses the show to Netflix, may pull it back at some point for their own service, which is set to launch in 2020. With “Space Force,” Netflix has ordered a show specifically designed to appeal to fans of “The Office,” with the same writer, same lead actor, and a workplace setting. If they can get it on the air while they still have “The Office,” they just may be able to get fans of the old NBC comedy hooked, keeping them subscribed even if “The Office” eventually leaves Netflix. 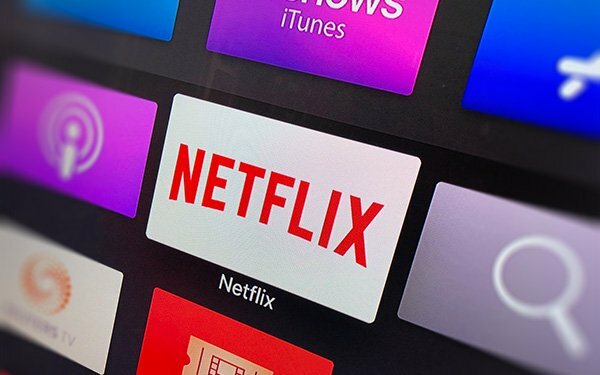 This year will mark the first time that major media conglomerates compete with Netflix for streaming eyeballs. But Netflix clearly has its eyes set on 2020 and beyond.